Supplier & Distributor of Gas Based Flooding System. Our product range also comprises of CCTV System, Fire Alarm System and Access Control System.Backed by the team of experienced professionals, we are able to manufacture and supply a precision engineered range of Gas Flooding System in DELHI,Noida ,Ghaziabad,Faridabad,With an objective to globalize business, our company is exporting and supplying a broad assortment of Foam Flooding System . The provided flooding system is manufactured under the vigilance of vendors' professionals using optimum quality components and innovative techniques.We are offering to our valued customers a supreme quality range of Gas Flooding Systems. CO2/FM200 gas flooding systems to the clients. These flooding systems extinguishes fire in case of urgent need of protection of tools and processes from fire. the on-time delivery and industry leading prices of these products ensure the extensive application.Our mission is to provide security to our society by distributing and supplying Gas Flooding System. Flooding system is used to control the fire with the help of specific gas by suppressing the content of oxygen in the space and act as a quick fire extinguishing agent. 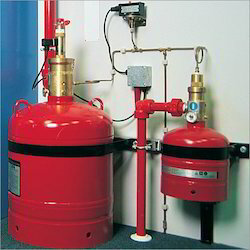 We are offering a wide range of Gas Flooding System to our clients. 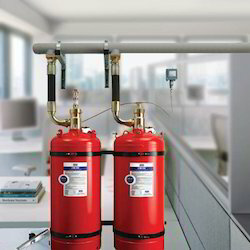 We are offering a wide range of Automatic Fire Suppression System to our clients. We are offering a wide range of FM 200 Suppression System to our clients.